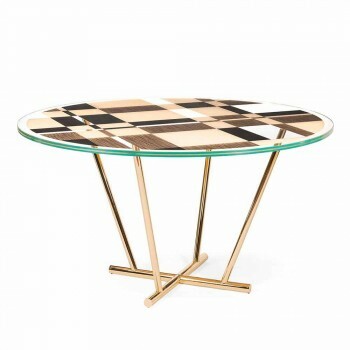 Round coffee table Ozzy with glass top and intarsia, Italian design. 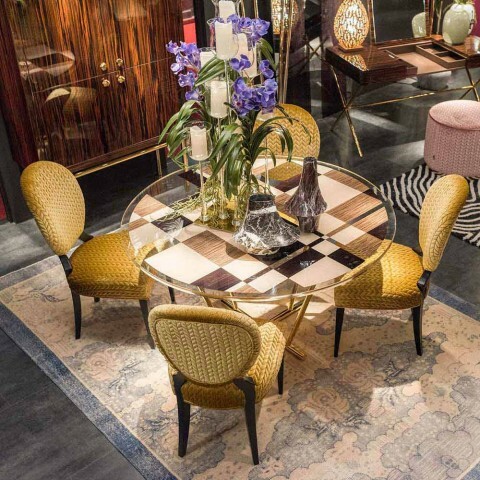 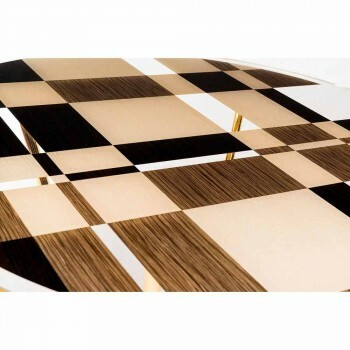 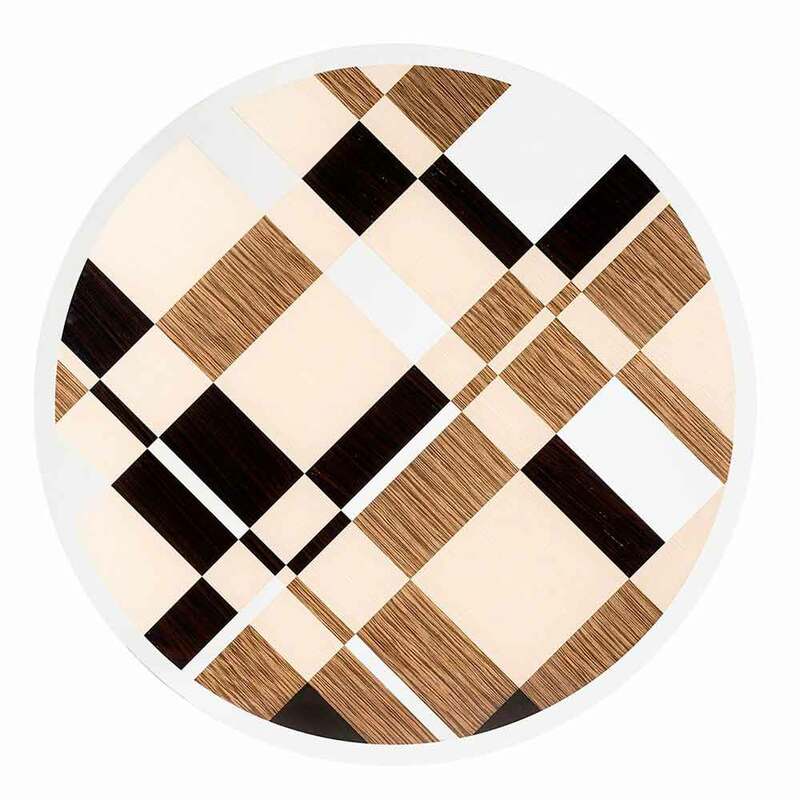 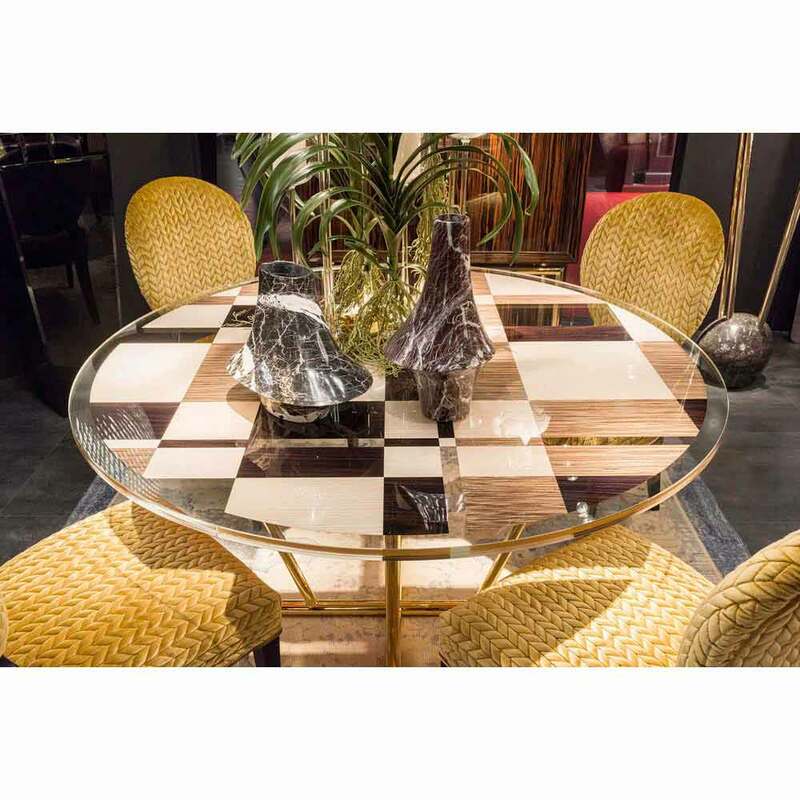 Round table with a modern and elegant design, inspired by the paintings of the famous Dutch painter Piet Mondrian and by the geometrization that distinguishes his works. 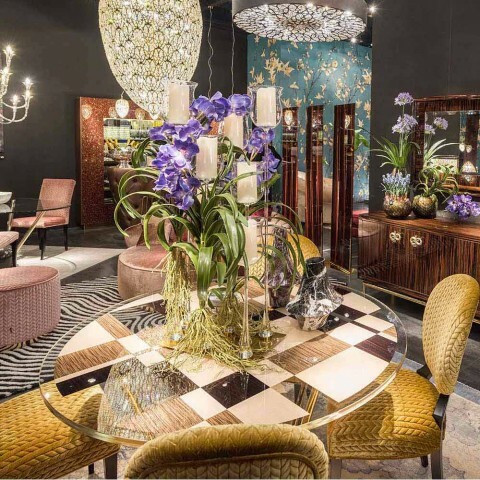 Available with a coupled glass top, containing inlay inserts consisting of three types of wood (very light-colored oak and two Newood pre-composed in ebony). 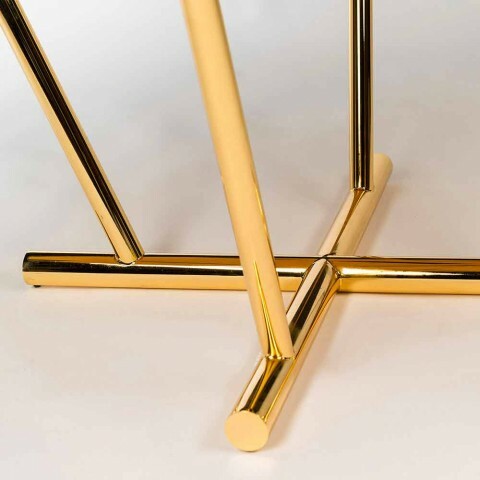 Its frame is made of metal with a brass finish. 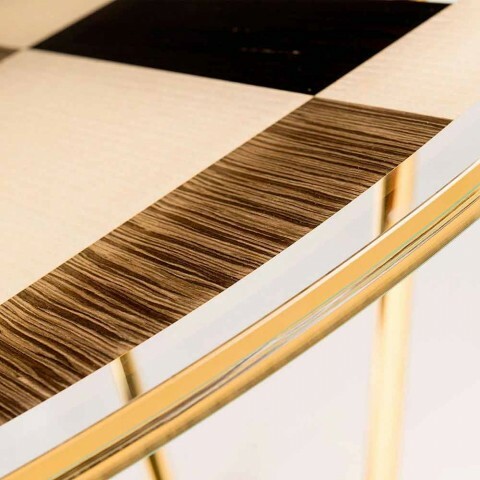 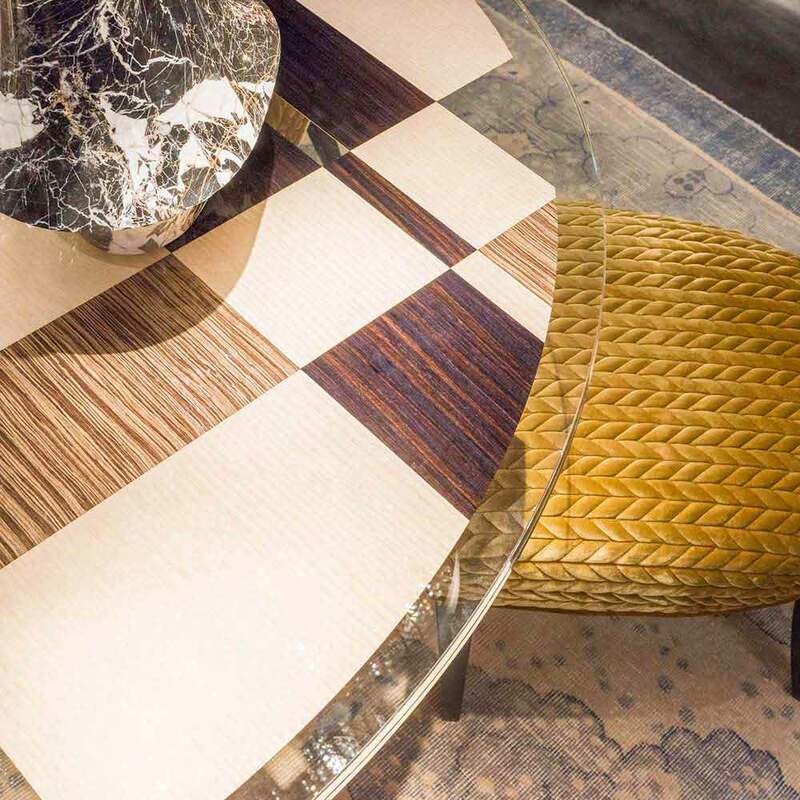 Ozzy is part of the Natural Collection by Giorgio Ragazzini, who drew inspiration from the investigation of natural phenomena and the interaction of materials with human technology. Ozzy is available in the option: extra-clear top. 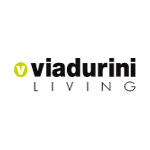 To request a quotation, contact us at: info@viadurini.co.uk.